Say goodbye to soap scum-covered shower curtains and mildewy liners! A cleaner bathroom is just one load of laundry away. 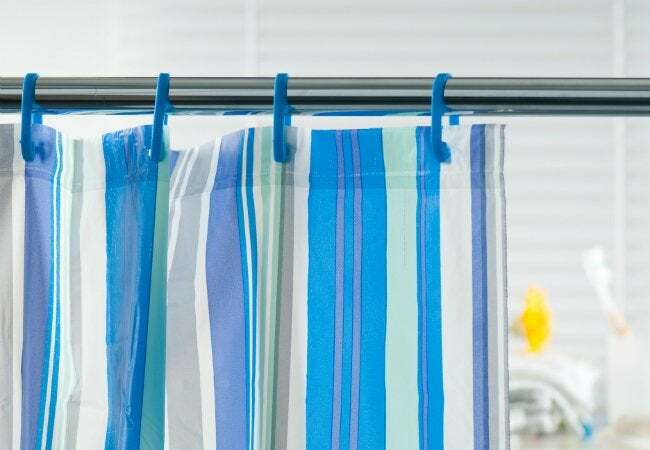 Though your shower curtain performs a valuable service, preventing water from cascading across your bathroom floor, you’ve no doubt noticed a paradox: The more showers you take, the more gross the shower curtain gets. Before you replace it, thinking the mildewed and soap-scummy plastic or fabric cannot be salvaged, hang on a minute. 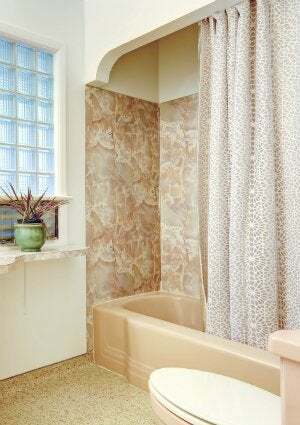 You may be able to clean the shower curtain, after all—quickly and easily—by running it through the washing machine. The only trick is that, when you clean a shower curtain in the washer, it’s best to bolster the detergent with a couple pantry staples or, in extreme cases, bleach. Place the shower curtain into your washing machine and throw in a few soiled towels. These create the agitation necessary to separate the mildew from where it has lodged. Start the machine, and when it comes time to pour in the detergent, be sure to add a half-cup of baking soda. At the start of the rinse cycle, follow up with a half-cup of vinegar. If there’s any mildew remaining, the vinegar can be expected to kill it. (If there’s a great deal of mildew, ratchet up the vinegar dose to a full cup.) Finally, before the spin cycle gets going, pull out the shower curtain and inspect its condition. If you approve, hang it back up in the bathroom. There’s no need to put the curtain in the dryer. If you’re dealing with a great deal of mildew and soap scum, and if your shower curtain is white or transparent, reach for a bottle of bleach. Place the curtain in the washing machine along with some towels (white towels, that is). Start the machine, and as the drum begins to fill with water, pour in a half-cup of bleach and a quarter-cup of detergent. From here, let the washer do the work. Then, before the start of the spin cycle, pull out the curtain and check to see how it looks. If it’s cleaner but not satisfactorily clean, consider repeating the process above. Also note that at this point, you may be able to finish up by hand, using mild soap in combination with a sponge or cloth rag. • Most bar soaps generate soap scum. Body wash, on the other hand, rinses away without buildup. • After bathing, spray the area with homemade shower cleaner. The next time you shower, the water will wash away the cleaner, along with collected grime. • Use a scrub brush to loosen mildew as you wipe down the curtain as part of your regular weekly bathroom cleaning routine.